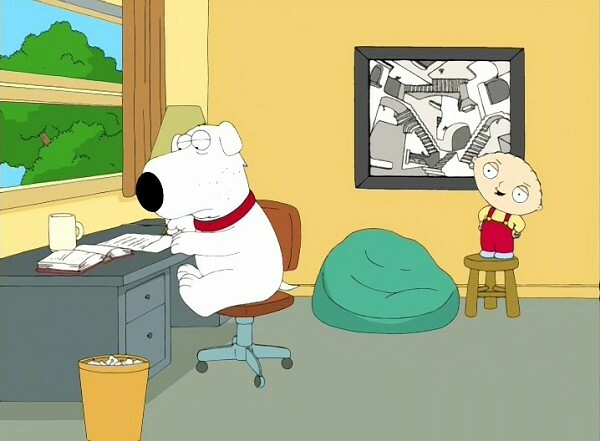 Family Guy is an American animated television series, which was created by Seth MacFarlane for the Fox Broadcasting Company. 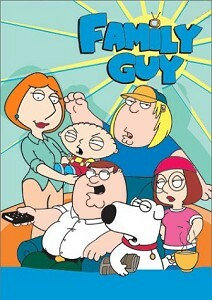 The series centers on the Griffins, a dysfunctional family consisting of parents Peter and Lois; their children Meg, Chris, and Stewie; and their anthropomorphic pet dog Brian. The show exhibits much of its humor in the form of cutaway gags that often lampoon American culture. Below, you can see several frames from the show. 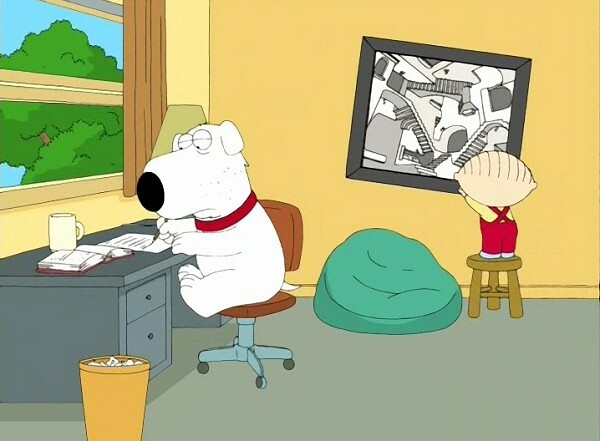 Click on images to see them in better quality. 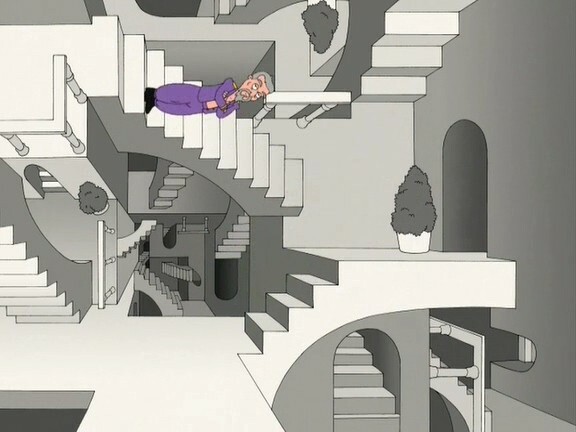 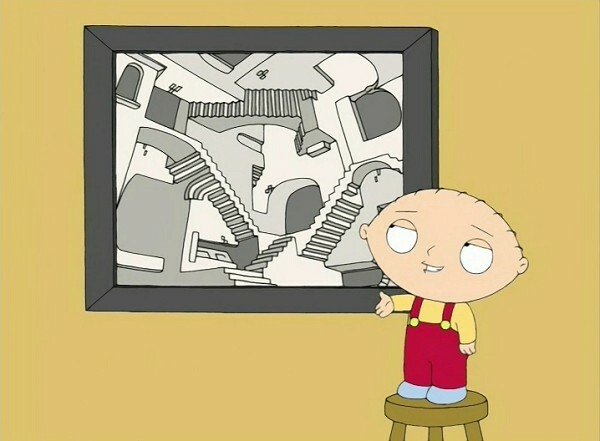 In episode 15 of season 4 "Brian Goes Back to College" Stewie brings to the Brian's room Escher's artwork Relativity. In episode 14 of season 5 "No Meals On Wheels" M.C. Escher read rap in the room, which is very like to Relativity.